The fastest speed that a 3D printer can offer is up to 150mm/s. Some printers may even print at a speed faster than 150 mm/s. However, the faster 3D printing speed can drop the quality noticeably. You may suffer the problems like the filament tends to slip at these speeds. A 3D printer with good speed and quality simply does not exist. 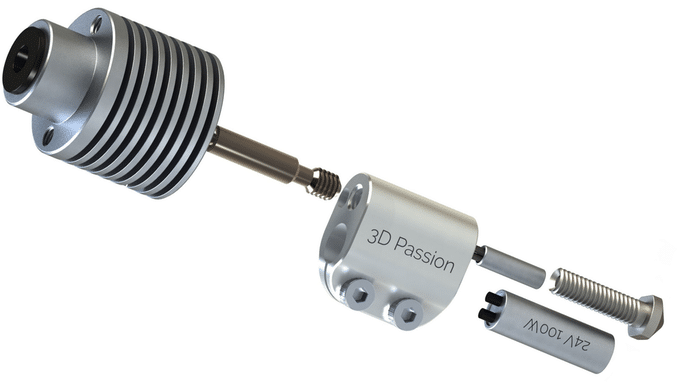 The inventors and creators at 3DPassion company have developed a new 3D printer that offers high printing speed called ‘Nova Hotend’, a small 3D printer loaded with all the features, especially the speed with better quality that you can dream of. Nova is a high-performance 3D Printer hotend that is compatible with the most 3D printers you already own! 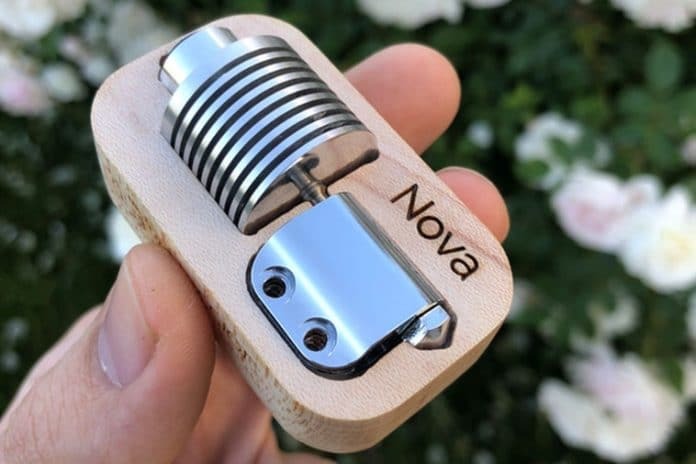 Nova’s ergonomic thermal design enables it to print at high flow at 300+ mm/s speeds to print an object up to 0.25-layer height and 0.5 nozzles. It is completely clog-proof. Its exceptional and fully modular design offers every component that is according to your budget and your specific need. Keep the existing hotend and get a quick add-on without breaking the bank. Nova Hotend’s height is easily adjustable for multi-extruder setups. You don’t need to replace the entire hotend, for changing the print cores. Quickly swap it and your cores will be changed within 1 minute. Also, all the parts are made with a quality product. Every component is produced by keeping performance and quality in mind. No cheap parts are used. Its smaller thinner heatbreaks can do the job two times better. It also comes with the improved 5000 rated heaters up to 80-100 Watt. You can easily reach the temperature of 210-degree C in just 20 seconds and 500 C in 50Seconds. The Hotend is shorter and tough enough to assure that there is no play at the tip. Nova Hotend can print up to 500-degree C easily. In addition, it comes with the improved optional copper heatsink with thermal grips which ensures maximum contact area for maximum thermal transfer. Moreover, 40mm silent fan is added for cooling purpose. The Nozzles are made of Tungsten carbide material and are available in 0.25, 0.5 and 1.0 sizes.